. 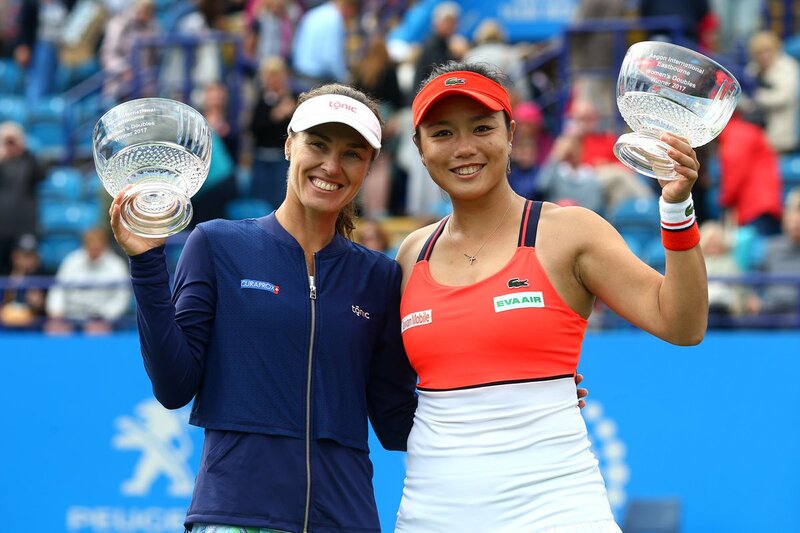 @MHingis & @YungJan_Chan win #AegonInternational Doubles title! 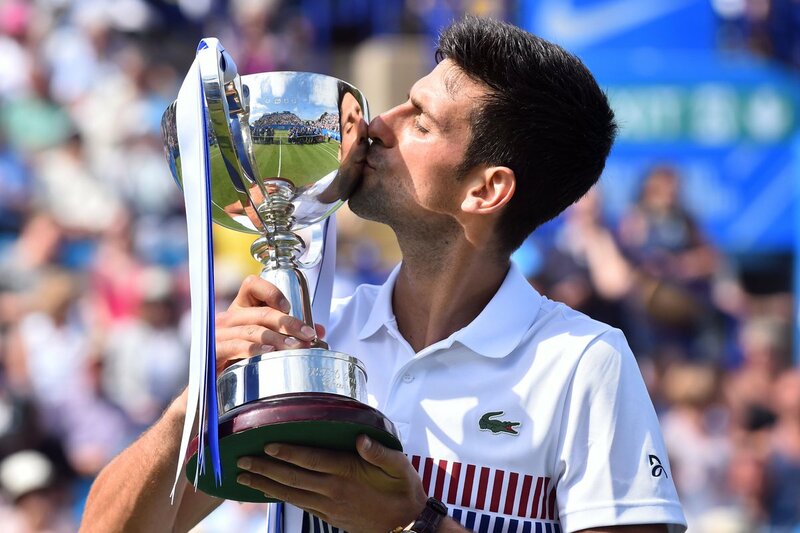 🏆🤗🎾🍼 Look back on the top 5⃣ moments that made the 2017 #AegonInternational #Eastbourne! 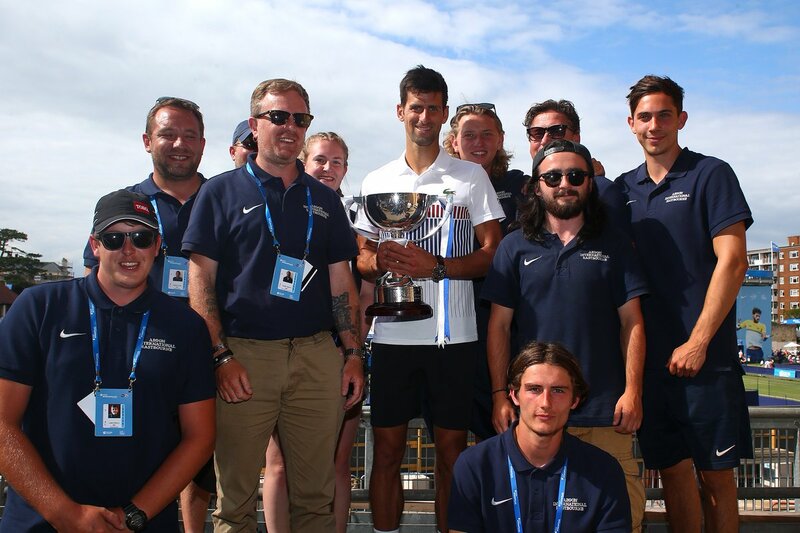 Books a spot in #AegonInternational Round of 16!
. @Simona_Halep battles past Pironkova 6-7(5), 7-6(4), 7-5! 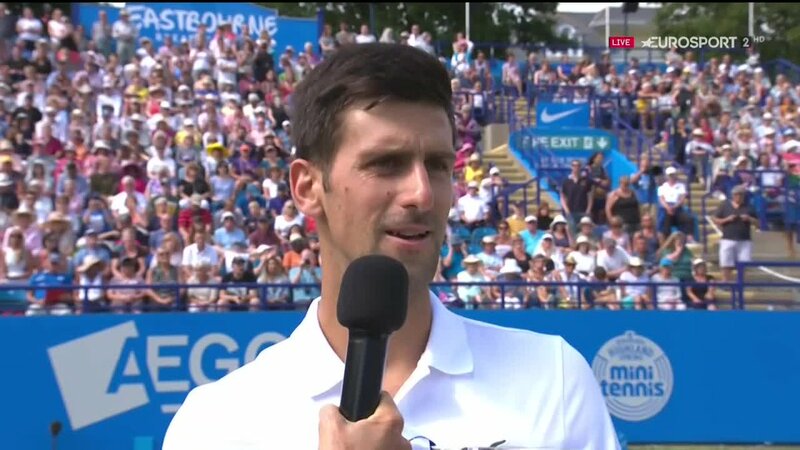 Djokovic survives a valiant fight from Young to reach the semis!
. 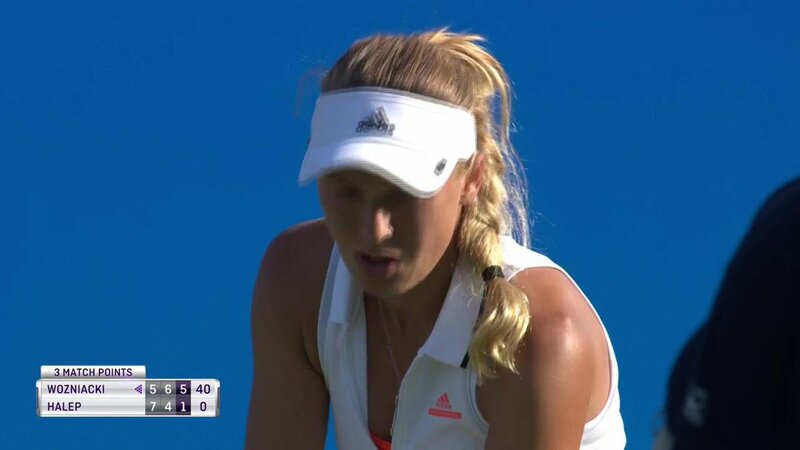 @CaroWozniacki is first through to #AegonInternational Quarterfinals! 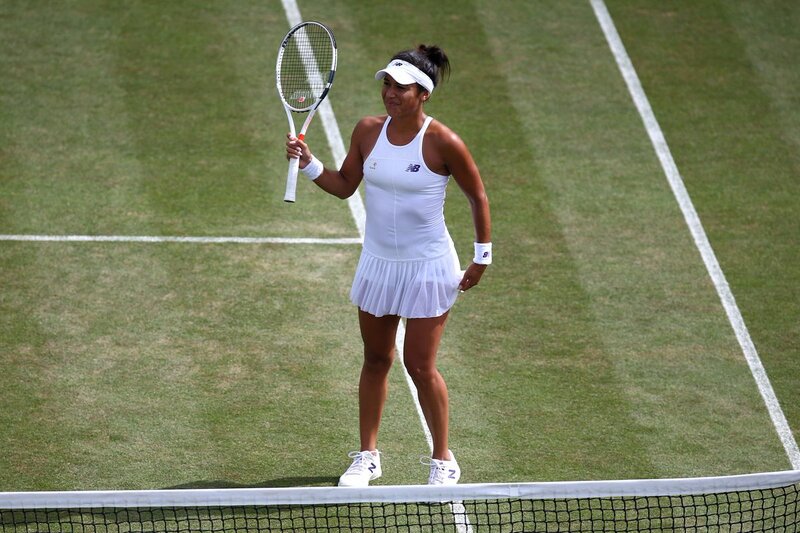 Races past Vesnina 6-1, 6-2!
. @KikiMladenovic downs Zhang 6-0, 6-4! Sets up #AegonInternational Round of 16 vs @SvetlanaK27!
. @CaroWozniacki defeats Osaka 6-2, 7-6(5)! Safely through to #AegonInternational Round of 16!
. 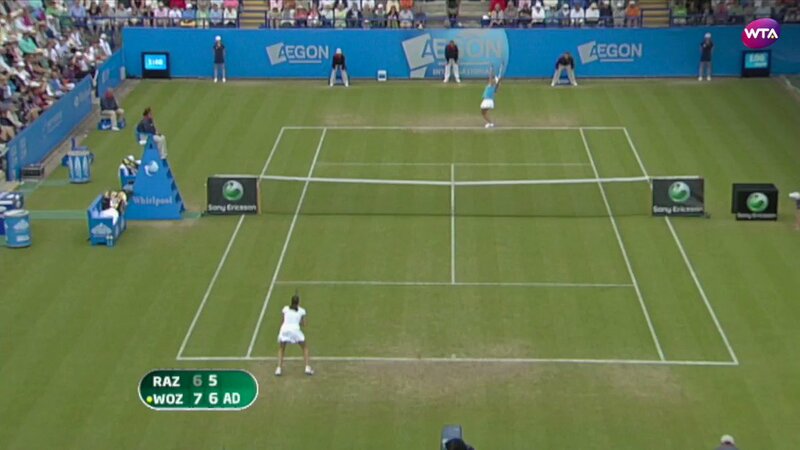 @AngeliqueKerber races into #AegonInternational Quarterfinals! Eases past Arruabarrena 6-2, 6-1! Great to have big tennis fan @LawsonAdam from @LawsonOfficial at the #AegonInternational Eastbourne today! You've won an autographed 🎾 ball from #AegonInternational champion, @KaPliskova! 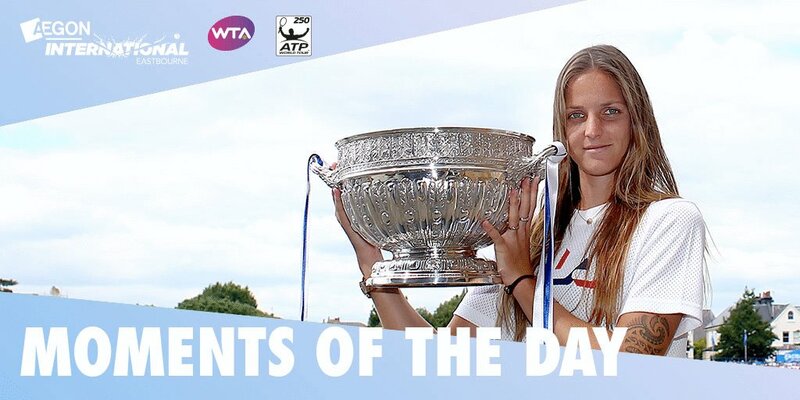 ICYMI: @KaPliskova defeated @CaroWozniacki 6-4 6-4 to claim #AegonInternational silverware. 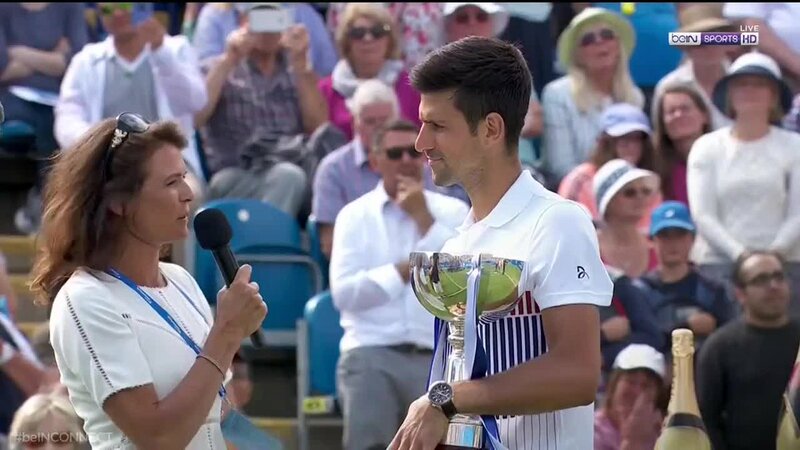 @DjokerNole lifts the #AegonInternational 🏆 for the 1st time! 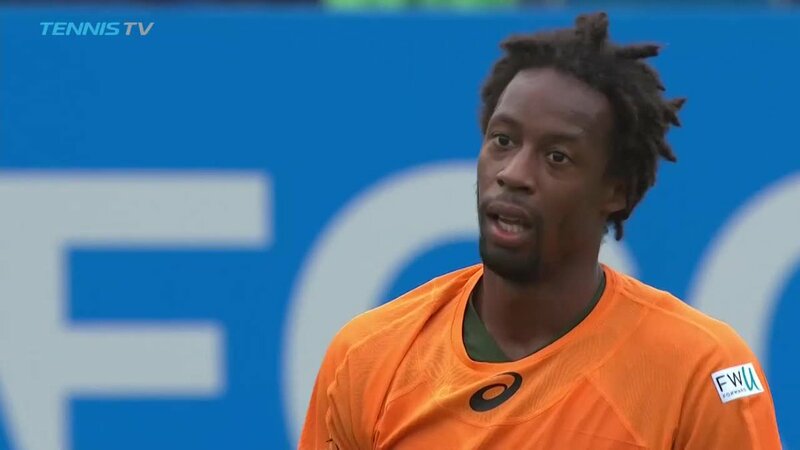 Comepletes 5-7, 6-4, 6-1 comeback vs Halep! 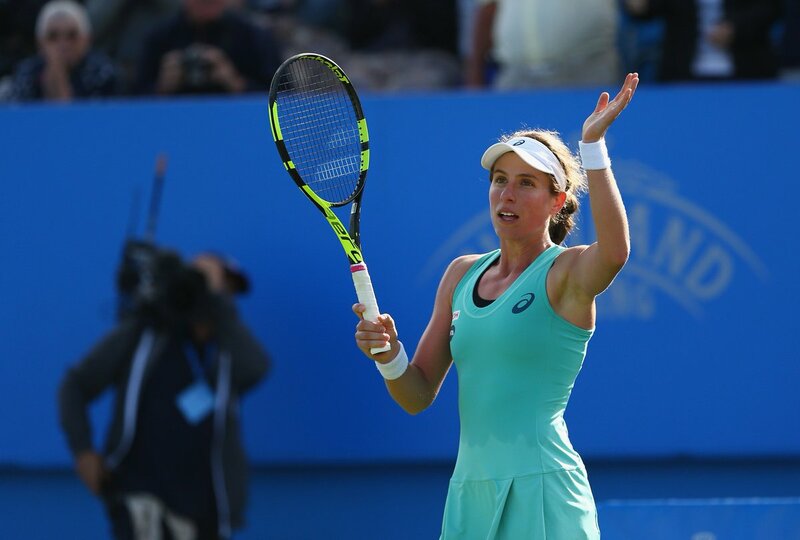 Sensational win for @JoKonta91 beating No.5 seed #Kvitova 5-7, 6-4, 6-0 at the #AegonInternational Eastbourne!
. @ARadwanska defeats Bouchard 6-3, 6-3! Sets #AegonInternational Quarterfinal vs Dominika @Cibulkova! 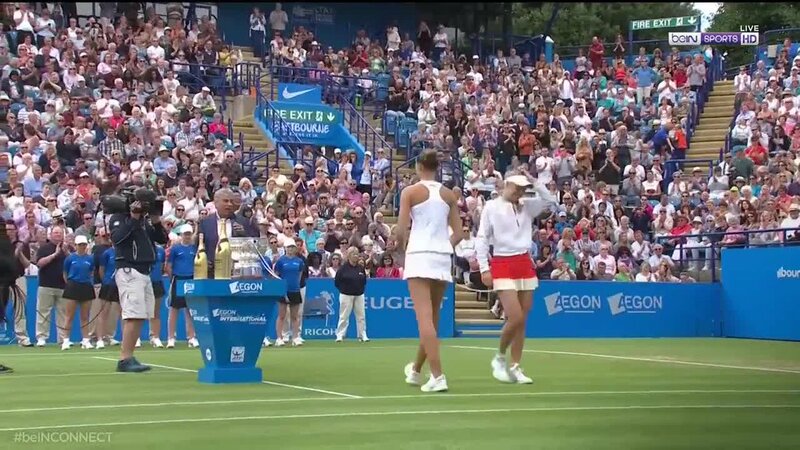 @CaroWozniacki wins 5th #WTA title at #AegonInternational Eastbourne!
. 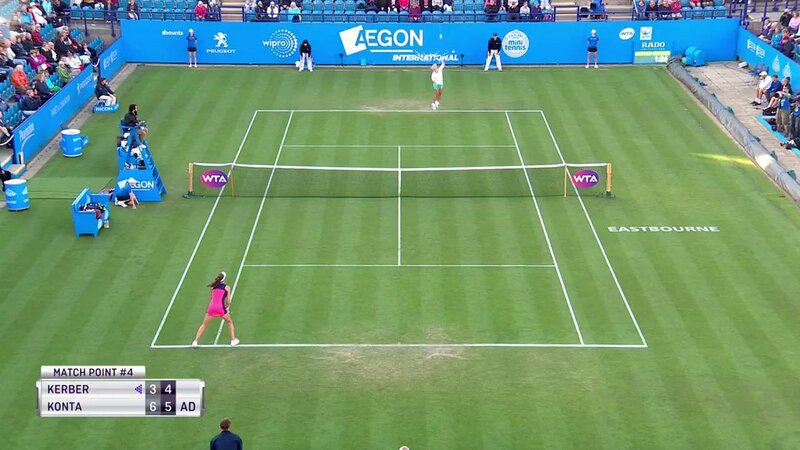 @MonicaAce93 advances to #AegonInternational Quarterfinals! Comes back to beat Wozniacki 4-6, 6-3, 6-4!